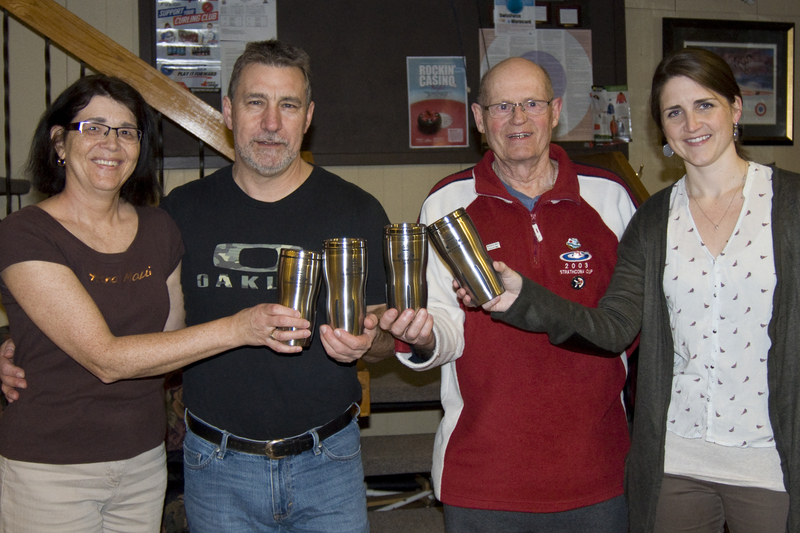 The Amherst Curling Club held our annual Club Championship on March 23, 24 & 26th. Congratulations to our Champions, Terry Gilroy, Ray Fowler, Charlie James and Lisa Gilbert! 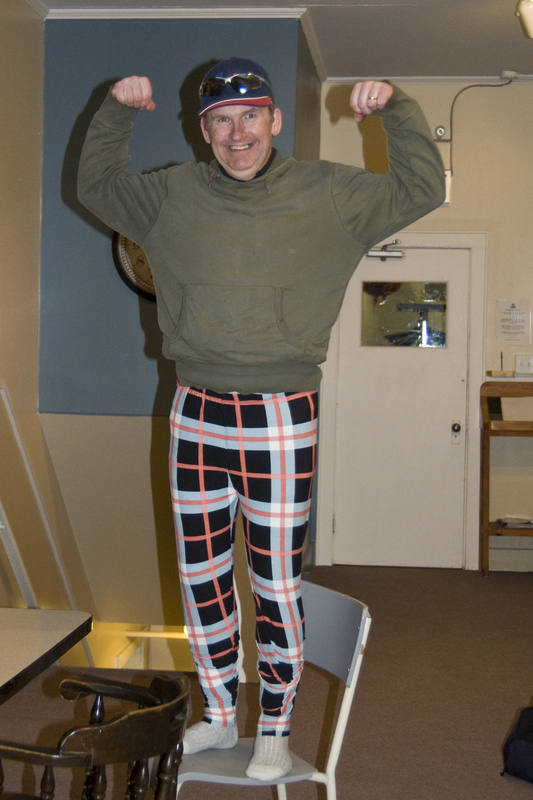 And.. there’s always one in the crowd.. Dave Sutherland modeling leggings, one of the prizes donated by J&G Jewelers.